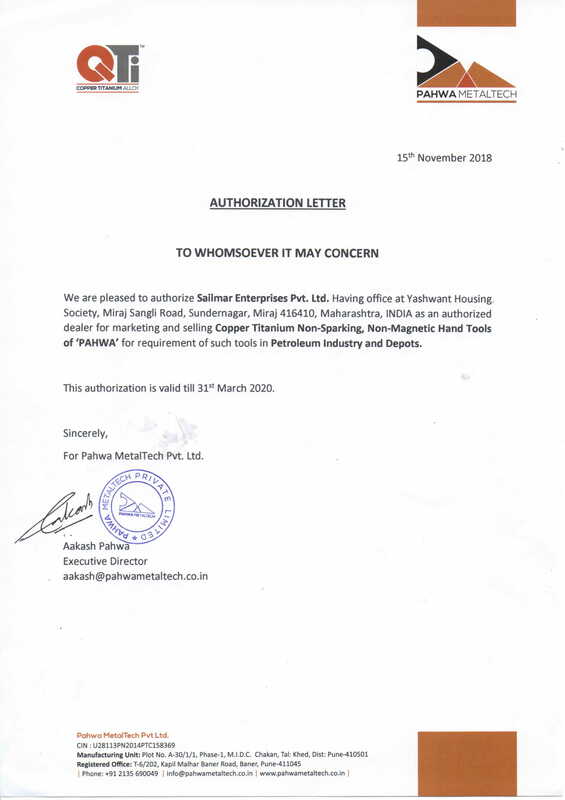 Authorized Dealer and Supply of Non Sparking Copper Titanium Alloy Hand Tools (QTi ) Manufactured by Pahwa Metal Tech with Exclusive Technology from Defence Research Development Organization ( DRDO ) , Ministry of Defence. Govt of India. Valves and Fittings : Ball valves, Gate valves, Plug valves of make L&T, Audco, Virgo, Leader etc . Flanges, Elbows, Tees, reducers etc. Rubber Products : Neoprene and Nitrile Gaskets, Neoprene and Nitrile Hoses, Gland packings etc. Click on button and fill the form, so we can get in touch with you.